Take two CatalaseNow Super Premium Vitamin supplements together once a day, after a meal, and watch, over the weeks, where you could see your gray go away and back to your natural hair color while helping get it thicker and fuller. How Long Will It Take For The Grey Hair Vitamins To Work? Customer experiences have shown that our catalase supplement results vary depending on the individual—some start to see results as soon as 8 weeks while others may take up to 12 weeks. Your existing level of Catalase and the ability to absorb, coupled with how quickly your hair grows, will affect the time it takes for you to see the reversing of your gray hair. 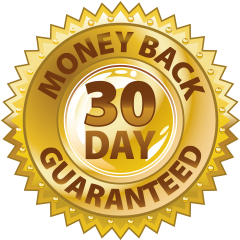 We are so confident of the results that if you do not begin to see less gray with your natural hair color coming back, we will give a full refund on your purchase price through our No Questions, No Hassle Money-Back Guarantee. For a limited time,you can save $20 now when you order our special Best Deal, Best Results - 3 Bottles/3 Month Regime Program.